Robbery in Ohio is treated as a serious offense. If you are convicted of robbery, you risk serious fines, prison time, and a criminal record that may have a negative impact on your life by endangering your future employment prospects. If you have been arrested for robbery, contact an experienced criminal defense attorney at Burke, Meis & Associates for your free consultation at (614) 280-9122. In Ohio, robbery is a considered a felony level offense. Aggravated robbery is similar to robbery, except that it involves the use, attempted use, or the presence of a dangerous ordinance (or a weapon). If you are suspected to have a dangerous ordinance or a weapon on you when you were said to commit the robbery, or if the dangerous ordinance is taken from a law enforcement officer without his knowledge by any means, then you will be charged with aggravated robbery. Robbery and aggravated robbery are felony level offenses. For a 3rd degree felony robbery, you will be given a prison term of 1-5 years, and fines of up to $10,000. For a 2nd degree felony robbery, you will have to spend 2-8 years in prison, and fines of up to $15,000. For a 1st degree felony, you will have to spend 3-10 years in prison, and pay fines of up to $20,000. If you have been arrested for robbery, contact Attorney Adam Burke to discuss the facts of your case and he will make every effort to avoid serious penalties. 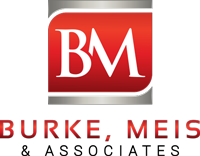 Call Burke, Meis & Associates today for your free consultation with an experienced criminal defense attorney at (614) 280-9122.